Did you know the "winter blues" is a fairly common occurrence amongst all of us? According to the National Institute of Health, close to one out of four of us will be affected. Due to the shorter days and lower light levels, winter can wreak havoc on our mental state and make us a little grumpy. Plus, we all miss our gardens! Luckily, there's hope because not only are the days slowly getting longer, we are inching closer and closer to Spring (and Summer) with each passing day. We know you are dreaming of bright, sunny days and your gorgeous flower garden but for now you can find inspiration in other ways. No more winter blahs, for you! We have compiled a list of 9 winter garden-related ideas to help you get through this rough time of year and keep you busy. Planning, strategizing, reading, listening, and learning are the keys to eliminating the winter blues! Read on. You just may find that inspiration you need! Isn't this Camellia beautiful? To add it to your winter garden, click the image! Visually seeing bright colors during this drab time of year is a sure-fire way to stoke your happiness-fire and change your attitude. Get out there and look for flowers in your yard, neighbor's yards, or even office landscapes. Try taking pictures to capture the moment. Venture out to a local botanical or private garden to take in the professionally designed landscape. Or, maybe you need to consider planting your own winter-blooming perennials so you can avoid this situation next year. 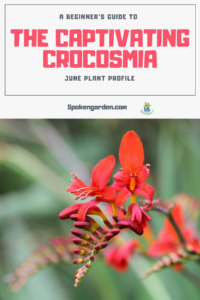 The good news is there are many different shapes, sizes, and colors or winter flowering plants. For a list of 15+ suggestions, click here to download a cheat sheet you can use to plan out what you want. Another way to move past the winter blahs is to use this winter as a time to rejuvenate and prepare yourself for the upcoming "busy" garden seasons. 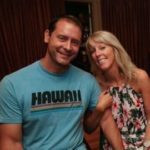 There are so many resources available for you to educate yourself on the newest, latest, and greatest gardening and landscaping techniques and trends! You could teach yourself all about permaculture garden design or learn how to build a raised bed for your Spring garden. 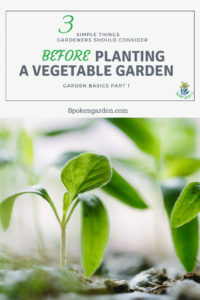 Or, learn in advance how to collect your garden vegetable seeds at the end of the growing season. Simple Seed Saving is an online course developed by Kait's Garden, a Homesteading and Family Farming Blog, run by Kait Ahlin who lives with her husband and family in western Montana! She is passionate about organic gardening and seed saving and wants to share her knowledge with you through her course, Simple Seed Saving. Watch a course demo here. By following this easy-to-follow online course with downloadable reference charts, you can teach yourself the art of seed saving. Plus, the course never expires because you have lifetime access. As you can see, the possibilities for learning really are endless! Learn how to implement a new garden-design technique, such as permaculture. Learn how to farm on 1/4 acre. Learn how to build your own raised garden beds for Spring! Learn how to save seeds after your spring and summer harvest with this ecourse by Kait's Garden. Learn all about organic seeds and why they are so important to our ecosystem! This Heart-Leaf Philodendron is a great mood-boosting way to brighten up your winter garden blues! Click here to buy your own. Want to add color to your indoor spaces while boosting your mood at the same time? Add houseplants to your home and reap the benefits! Luckily most indoor plants thrive under conditions of neglect or stress, require minimal to no sunlight, and have little water needs. Have you considered getting outside, even though it's freezing, to find things to do around your garden? If the ground is snow-free, there are probably weeds somewhere that need to be pulled. Get out and pull them! There are probably trees, shrubs, or hedges that need a good winter prune. The old saying "busy hands keep a busy mind" is so true and what better way to keep busy this winter than literally getting out into your garden for some maintenance on your evergreen shrubs and other plants. This can instantly improve your mood and give you a sense of accomplishment right after your finish. Podcasts are a great way to learn new information while listening instead of reading. This format is perfect when you're on the go, working outside, or while washing dishes or cooking dinner (which is one of our favorite times to listen). We love podcasts so much we created our own! We would love for you to check out our Spoken Garden podcast. We have two formats for you to pick from, a longer podcast format (anywhere from 8-20 minutes) and a shorter, one-minute podcast called our "DIY Garden Minute." There are so many amazing garden-related podcasts for you to check out. Now is the perfect time to start developing a plan for your upcoming garden. What is the sun exposure? What kind of soil do you want to use? What vegetables do you want to plant? What kind of flowers do you want to plant? Take the time now to design your dream garden and have fun with it! One perfect way to keep yourself busy this winter is to prepare your garden tools for the spring and summer season. After all the wear and tear you put your tools through, don't they deserve a little special treatment? Equipment maintenance is a garden maintenance task that you shouldn't neglect. To keep your hand and power tools working optimally, they need to be cleaned, updated, and sharpened at least once a year (if not more). Try a sharpening kit for all your saw blades, pruners, etc. Learn how to keep a garden journal and perfect your skill before Spring season. Have you tried bullet journaling yet? Overcome the winter garden blues by learning to bullet journal! This form of journaling has been all the rage and it can be used for your garden. 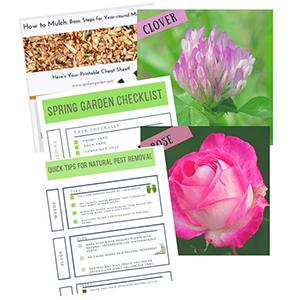 You can doodle, make lists, and plant out your garden for the upcoming season. We love this sustainably-made, eco-friendly journal for gardening journaling and think you might like it too! We have this feeder and love it! 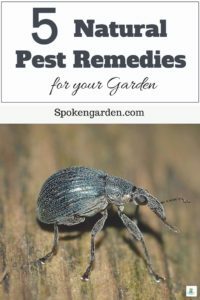 This is a perfect way to help wildlife and overcome the winter garden blues! 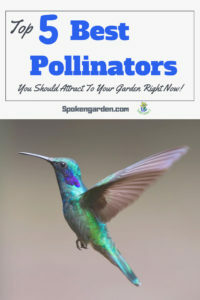 Even though many pollinators are dormant right now, this is a great time to prepare for their upcoming arrival. 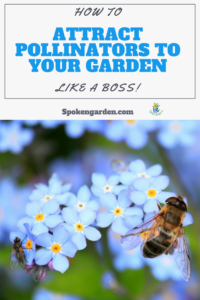 Learn how to create a pollinator-friendly environment and help the bees by planting specific flowers and creating inviting spaces for them. In addition, there are hummingbirds that overwinter in many areas. Try hanging a hummingbird feeder near your window so you can watch them. Our yard is a Certified Wildlife Habitat, which means we have designated areas for food, water, and shelter for all kinds of wildlife. This one act brings all the pollinators to the yard, for sure. See if you qualify and get your yard certified here! Also, last Spring season we decided to rent Mason Bees from a local, PNW company called Rent Mason Bees. The company loaned us a bee house, the bees, and a small bag of clay. What a great, learning experience! Mason Bees are great pollinators and also do not have a stinger on them so there was no chance of ourselves or our puppy getting hurt. Since we were new to it all, they explained everything we needed to know in order to set up our bees for success. Maybe this is something you could try? Well, are you ready to get started? Which idea above inspired you? Whether you choose to learn a new garden skill, build a raised garden bed, or design your dream garden, you can overcome those winter garden blues! Trust us, spring season will be here before you know it! Thanks for reading and we hope this list will help you find inspiration to get you through the rest of the winter! In addition, we have tons of pruning resources available to teach you how and when to prune. Also, stay tuned for our upcoming Pruning ebook launching soon! Click the graphic above to save "Winter Garden Blues" to Pinterest for later!